After the 4 successful weeks, action drama Uri The Surgical Strike has remained almost unaffected from the newly released Alita Battle Angel in its 5th weekend. In just 30 days, the film now finds a place amidst the Top-15 All-Time Highest grossers ever since the invention of the 100 Crore Club. Directed by Aditya Dhar, Uri The Surgical Strike has impressed many with its engaging story-line and received mostly positive reviews from the critics as well as the audience. 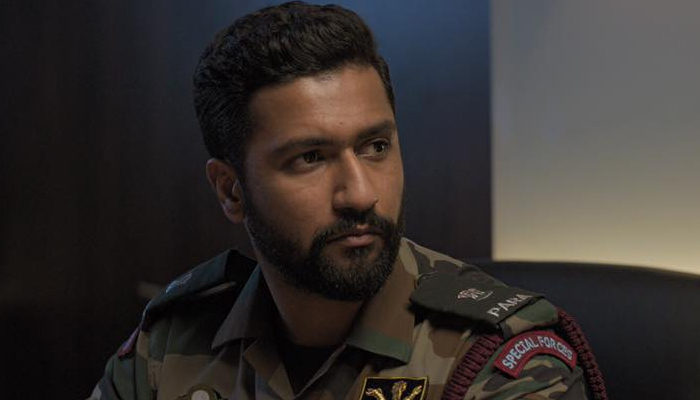 Vicky Kaushal & Yami Gautam starrer war drama entered unaffectedly in the weekend. Uri The Surgical Strike opened well and did the business of 71.26 crores in the first week by remaining strong throughout due to positive word of mouth. After that as well, it maintained a solid pace and registered the business of 62.77 crores in the second week & 37.02 crores in the third. Then in the fourth week, despite several new releases, the movie managed to rake the business of 29.36 crores. In the last 4 weeks, Uri The Surgical Strike registered the business of 200.41 crores at the domestic box office. On 5th Friday, the movie continues to dominate, unaffected by new releases and managed to collect the amount of 2.12 crore. Then on 5th Saturday, RSVP Movies’ production took a fair growth and minted the amount of 4.67 crore. On the next day i.e. 5th Sunday, with a further jump, it raked the business of 5.58 crores and its raised 31 days total collection to 212.78 crores at domestic box office.